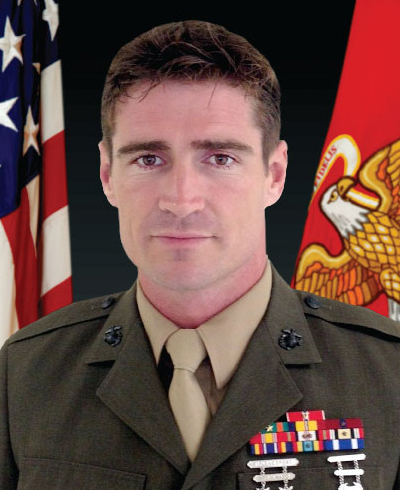 Staff Sergeant Liam Flynn served as an assistant element leader with 2d Marine Special Operations Battalion, U.S. Marine Corps Forces, Special Operations Command, Camp Lejeune, North Carolina. Staff Sergeant Liam Flynn was born in Reading, England and moved to Queens, New York in July 2002. Liam Flynn enlisted in the Marine Corps in October 2006 and graduated basic training from MCRD Parris Island in January 2007. After boot camp Private Flynn attended the School of Infantry and received orders to 2nd Battalion 8th Marines, Camp Lejeune, NC. In 2007 Sergeant Flynn deployed with 2nd BN 8th MAR G. Co in support of Operation Iraqi Freedom. Upon return Sergeant Flynn attended Infantry Squad Leaders Course and in 2009 deployed as a squad leader in support of Operation Enduring Freedom. In April 2010, Sergeant Flynn attended MARSOC Assessment and Selection and upon selection attended the Individual Training Course in June 2010. On Feb 18, 2011, Sergeant Flynn was assigned to 2D Marine Special Operation Battalion, Hotel Company. While with Hotel Company he deployed to Badghis Province, Afghanistan from January 2012 to September 2012. In November 2012 he graduated airborne school and Joint Armorer Course. In March 2013 he graduated MARSOC Dynamic Entry Level II. On May 1st he was promoted to the rank of staff sergeant. Staff Sergeant Flynn graduated Scout Sniper basic course on June 7th 2013 and deployed in support of OEF again from November 2013 to June 2014. Staff Sergeant Flynn’s decorations include (3) Navy and Marine Corps Achievement Medals with Valor, the Bronze Star with Valor and Combat Action Ribbon.